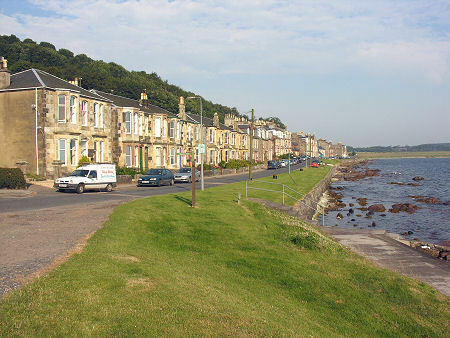 Kilchattan Bay is a linear settlement of Victorian houses and villas that lies on the south west shore of Kilchattan Bay, a largely east facing bay with a mile-wide mouth offering views to Great Cumbrae, three miles to the east. 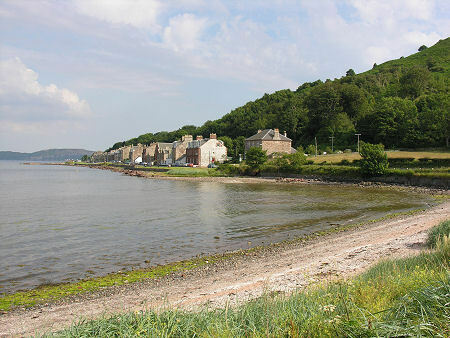 Kilchattan Bay is located just 2½ miles from the southern tip of the Isle of Bute, and until the mid 1800s comprised very little beyond a few fishermen's cottages. But in the mid 1840s the Marquess of Bute established the Kilchattan Tile Works here, using local clay to produce both tiles and bricks. This initial venture was not a success, and the works had closed by 1855. They reopened, however, in 1866, under a new management. They took advantage of the increased demand for tiles produced by the availability of Government grants for draining land, something often done in Scotland using channels lined with tiles. By the late 1800s some 1¼ million tiles and ½ million bricks were being produced each year, most for export, and most shipped out from the pier at Kilchattan Bay itself. 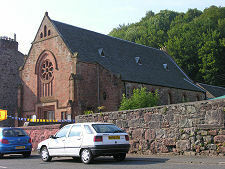 Kilchattan tiles achieved a considerable reputation for quality, but the bricks produced here never achieved the same distinction. From 1900s onwards, it became more difficult to extract the clay needed to make the tiles, and at the same time markets became more competitive. The Kilchattan Tile Works closed, for good this time, in 1915 and today there is very little to show they ever existed. 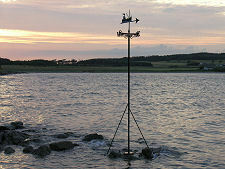 The same is not true of the second boom industry to hit Kilchattan Bay, this time in the late 1800s. 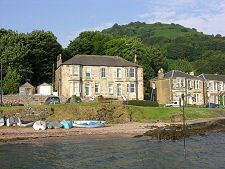 Building on the considerable success of Rothesay as a holiday resort, steamers began to serve Kilchattan Bay from Largs and from Millport. 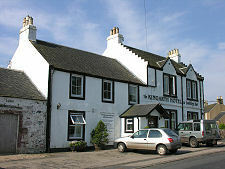 At the same time the settlement of Kilchattan Bay began to sprout villas and holiday homes, and the St Blane's Hotel, which still dominates the southern end of the village, was also built. 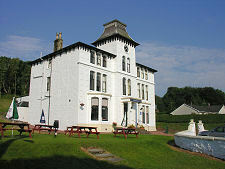 The name of the hotel is one of a number of reflections of the area's links with St Blane. 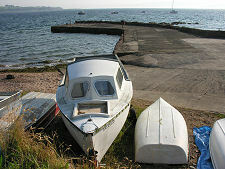 The steamers stopped calling in 1955, but Kilchattan Bay remains a quiet and friendly resort, popular with sailors popping over from the Ayrshire coast or from Millport, and the St Blane's Hotel continues to offer good food, drink and accommodation. 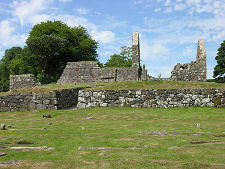 Today Kilchattan Bay's south end forms the start of the West Island Way, a footpath that runs most of the length of the island after first looping its south end, taking you past the evocative ruins of St Blane's Church.